Even though Rotary is supposed to be taking a break over the Christmas New Year period there has been a lot going on from planning Rotary’s walk as a sign of togetherness during Pride March on February 3rd in Fitzroy Street St Kilda to these few major involvements I have been in below. 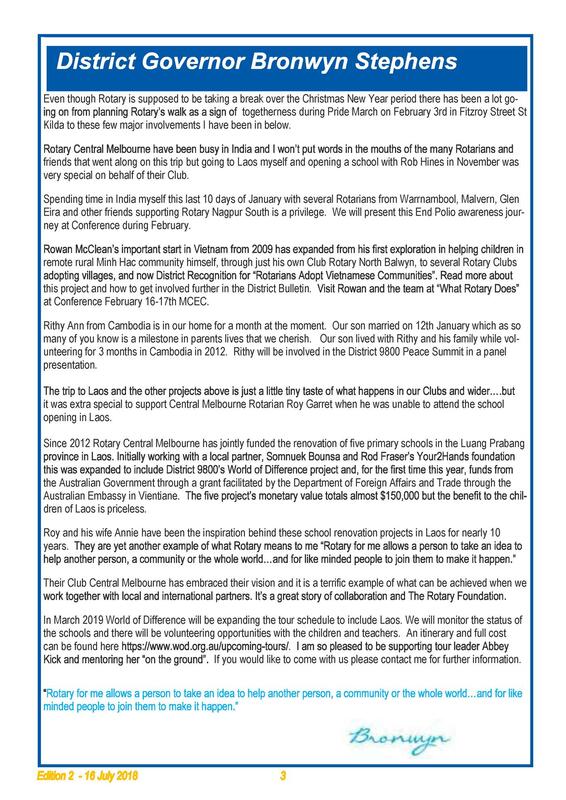 Rotary Central Melbourne have been busy in India and I won’t put words in the mouths of the many Rotarians and friends that went along on this trip but going to Laos myself and opening a school with Rob Hines in November was very special on behalf of their Club. 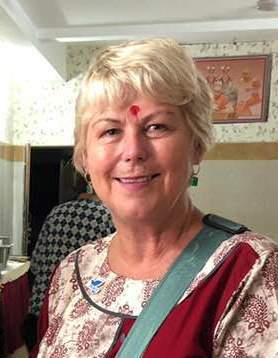 Spending time in India myself this last 10 days of January with several Rotarians from Warrnambool, Malvern, Glen Eira and other friends supporting Rotary Nagpur South is a privilege. We will present this End Polio awareness jour-ney at Conference during February.